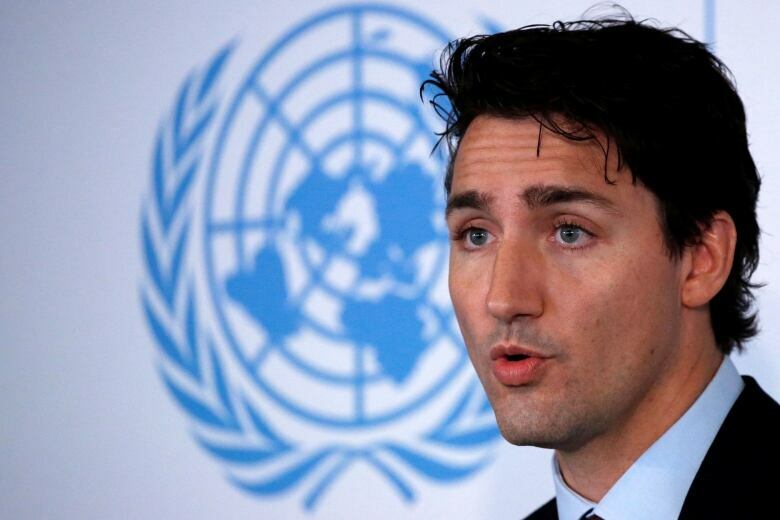 Justin Trudeau says MPs will get a chance to debate the Liberal government's plan to send Canadian troops on UN peacekeeping missions, but he won't quite promise a vote on any future deployment. In a year-end roundtable with The Canadian Press, Trudeau said it's important that Canadians understand why the government is undertaking a mission — and what it hopes to accomplish. Part of that will involve members of Parliament discussing and debating whatever mission the government decides is right for Canada. But while leaving the door open to seeking parliamentary approval with a vote, which would be largely symbolic, Trudeau said there's no guarantee a vote will happen. "If it ends up being a whole bunch of little missions instead of one big mission, maybe we wouldn't want to bog down the calendar with different little votes on different missions," he said. "My intention is to be very, very much engaged in hearing from Canadians and hearing from parliamentarians in a meaningful way on any mission." The Liberal government said in August that Canada will make up to 600 troops and 150 police officers available for UN peacekeeping missions, though exactly where has not yet been determined. It will also spend $450 million on peace support projects and host a peacekeeping summit next year. It's the prerogative of the federal cabinet to deploy military personnel, meaning parliamentary approval is not required. But the Conservatives have called on the Liberals to do so amid allegations the peacekeeping plan is more about winning a UN Security Council seat than advancing Canada's national interests. The Tories put combat missions to Parliament for a vote under Stephen Harper. The prime minister defended his commitment to peacekeeping during the roundtable, saying Canadians have a role to play in promoting security in different parts of the globe. "And not just because it's a nice thing to do on the world stage," he said. "It's because it's also in our interest to have a more stable global security context so that Canadians aren't in danger and so that Canada itself isn't in danger." An announcement on exactly what mission or missions Canada will sign onto had been expected by the end of the year, but Trudeau said a decision hasn't been made. "We need to make sure that it's the right mission," he said. "That it's worthy in its outcomes and in the impact that it's going to have." 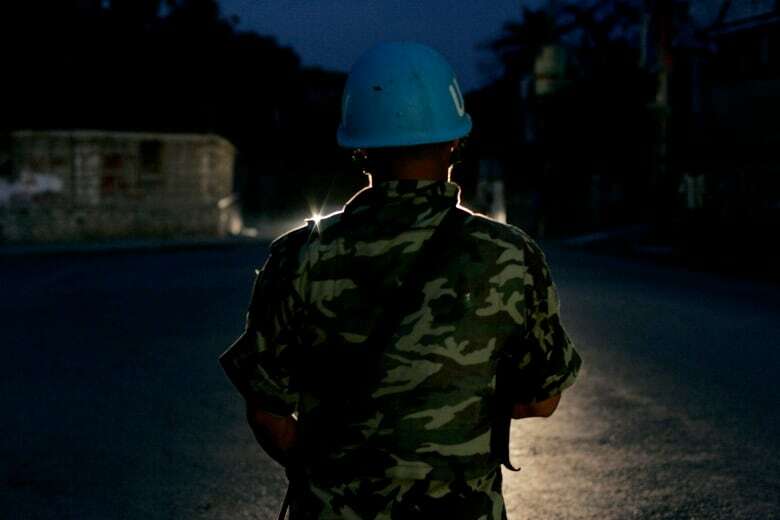 The number of Canadian blue helmets has dropped off since the early 2000s, in part because of the UN's failures in places like Rwanda, the decade-long war in Afghanistan and the Conservative government's dislike for the world body. Trudeau made a return to peacekeeping central to his vision for the military during last year's federal election campaign. Mali has figured prominently in discussions about a Canadian peacekeeping mission, particularly given the large number of visits by ministers and officials from National Defence, Global Affairs Canada and the RCMP since the summer. But the government has also previously confirmed it is considering a possible contribution to Colombia, while other possibilities include Haiti, the Democratic Republic of Congo, South Sudan and the Central African Republic. 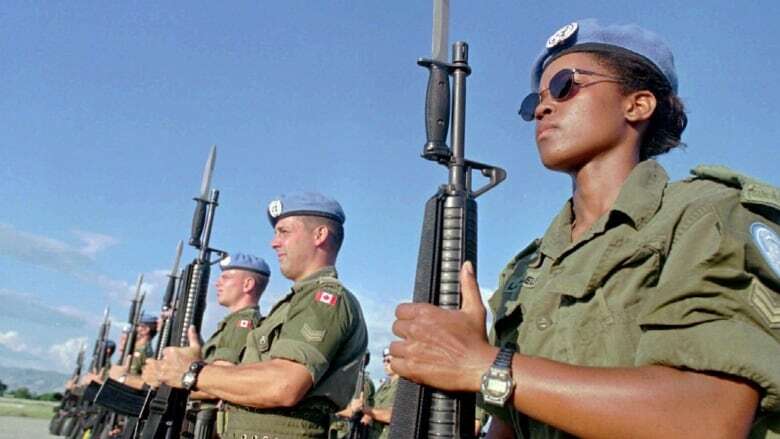 Canada currently ranks 67th out of 123 countries in terms of personnel contributions to peacekeeping, with 84 police officers, 19 military personnel and nine civilians for a total of 112. In comparison, in the 1990s, Canada had hundreds of soldiers serving on various missions. Trudeau said any contribution Canada makes to a specific peacekeeping will involve not only troops, but other aspects such as development, policing and governance. "It really becomes a complete and holistic approach to helping in a given part of the world," he said.